The main reason why we love open hardware culture so much is how it can be empowering, if you let the "it can't be done because nobody did it before" approach slip away. Technologies and tools once impossible to use are now widely available at low costs, and you can mix them to make things which are fun and useful at the same time. And problems whose solutions were too expensive or complex, now can be easily solved by someone with a creative mind and a bit of electronics. Like Michael Suttner, who invented the Lightie. 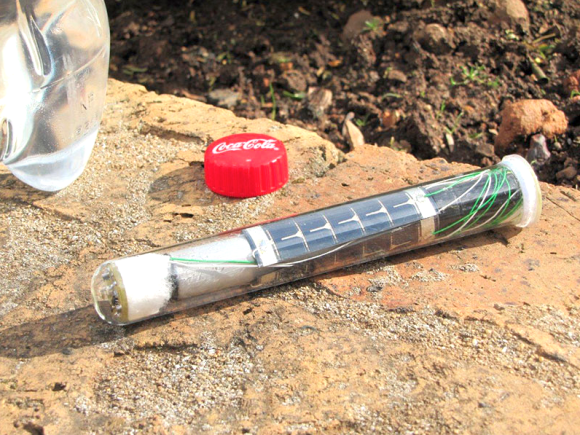 The Lightie is a little solar-powered light source: it works like a LED bulb but it's shaped like a test tube, with a cap designed to fit the neck of the standard soda bottles, those you can find everywhere in the world. 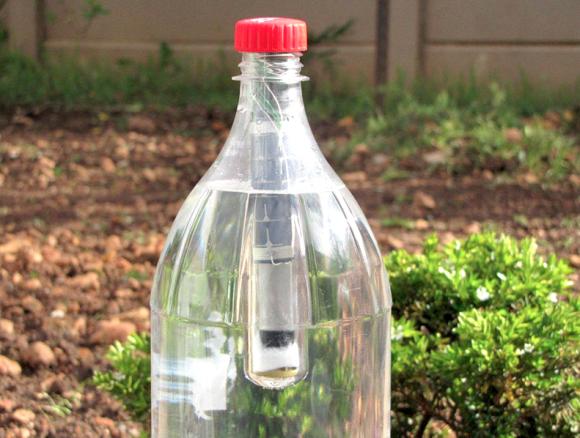 Put the Lightie in a plastic bottle, screw the cap and voilà, you have a brand new solar lamp. Nothing special? It is special, actually, because Suttner didn't invent the Lightie for us - lucky people with Internet and power outlets all around our house - but for those who have no access to electric lighting and normally use paraffin lanterns and candles, which are expensive, dangerous and for sure not eco-friendly. Suttner estimates that 2 billion people worldwide could be interested in using the Lightie in their houses. On the technical side, the Lightie is made putting a little flexible solar panel in a ruggedized acrylic housing which contains also two rechargeable AA lithium batteries and a LED source. The little panel is bent in a cylindrical shape to receive the most sunlight possibile: direct, diffuse and reflected. In this way it can charge the batteries also when it's cloudy or rainy. With eight hours in the sun you can get up to more than forty hours of lighting and the LED source is much more intense than a paraffin lamp. More info on the official website.